The online casino market in the UK is packed with enticing offers to grab your attention – Free Spins, Match Bonuses, Cashbacks, High Roller bonuses. Everywhere you look it seems that some casino or other is desperate to throw free money your way! But is it really free? And what do all those terms and conditions mean? In this series of articles – the Offersville Guide to Casino Bonuses – we break down the individual bonus offers to explain what you get, and how to get the most out of your freeplay. In Part1 we looked at the most common type of bonus – the deposit bonus. This is Part 2 – our guide to Free Spins. A more recent addition to the casino operator’s armoury of bonusing tools is the Free Spins offer. These complementary spins on your favourite game have been features of online slots for a long time, usually activated by the ‘scatter’ symbol within a game, where you may ‘win’ up to 100 Free Spins on some slots, often with a hefty multiplier applied to your winnings. Now casinos have begun using Free Spins to entice new players through their doors and to encourage further gameplay from existing players. Some offer as many as 350 as part of a ‘Welcome Package’ that will usually include one or more deposit bonuses as well. The most popular game to offer a Free Spins bonus for is NetEnt’s Starburst. Currently Casumo, Magical Vegas and Super Lenny are all offering 10 or more spins to new customers on registration – no deposit needed. No deposit Free Spins mean just that. All you have to do is register an account and your free plays will be credited to you immediately. Normally a casino will apply some restriction to your Free Spins – your winnings will be credited as bonus funds, and they will come with a wagering requirement of anything from 25x to 60x. Always check the terms and conditions of any offer as well because you may find that your winnings from Free Spins are capped, often at £100 or less. Often Free Spins are credited as part of a casino welcome package that also includes deposit bonuses. Casumo is a good example – here you can pick up 20 Free Spins on registration, and then a further 180 Free Spins when you make your first deposit. These spins will be credited 20 a day for 9 days. This is a common feature of large Free Spins bonuses. Customers are drip-fed their spins over a period of a week or more. Always check the terms and conditions in this instance because your spins may only sit in your account for 24 hours before they are removed. It is a requirement that you use them each day, and if you don’t, you forefeit your bonus. A new element to the Free Spins offer is now the ‘no wagering’ free spins bonus. These are Free Spins that come with a zero wagering requirement – meaning you get to keep everything that you win as cash. These offers are starting to become more popular. Look out for these great bonuses as you really can grab a free windfall if you’re lucky. 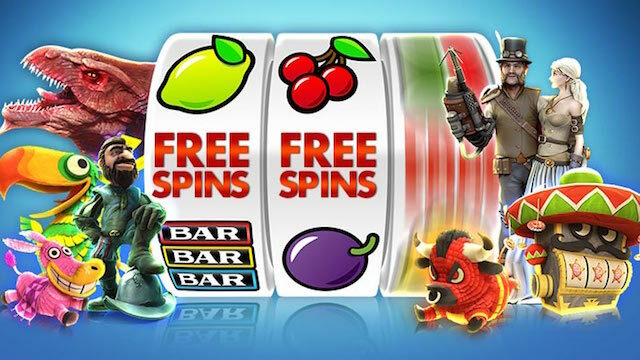 Free Spins are a great way to enjoy your favourite games at UK online casinos. Here is our list of the latest best offers.